Some of you may know that I don't live in Glasgow at the moment but I do visit there a lot to see family and just visit from time to time. I love the food in Glasgow they are many different food places and restaurants to choose from and so many of them are just gems that I look forward to going back to in the near future as they just tantalised my taste buds. 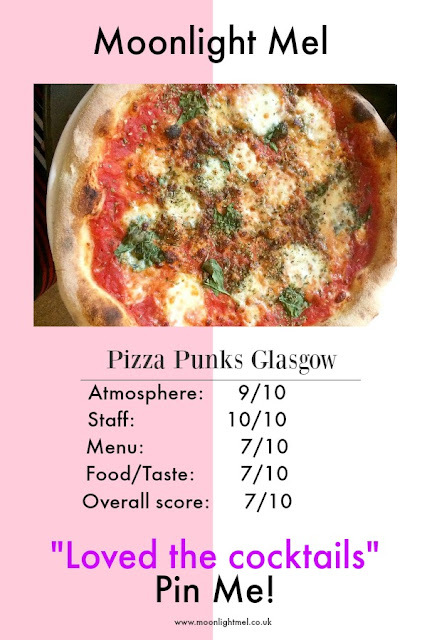 I have been meaning to go to Pizza Punks artisan wood-fired pizza in Glasgow for many months now as the front of the restaurant just stands out with its punk style ( reminds me of my favourite wrestler CM Punk lol) Not only that I just love pizza and just had to try it. During my time in Glasgow, I have tried so many amazing foods and went to many lovely restaurants that are just delicious. In Glasgow, I actually looked forward to trying different foods as they are so many places to choose from. Pizza Punks is slap bang in the middle of town in Glasgow and can be found at 90 st vincent street which isn't a too long of a walk from central station it is also next door to bread meats bread and over the road from a restaurant I've wanted to visit Topolabamba which is a Mexican street food restaurant with cocktails in actually drooling right now writing about food LOL. The interior looks very punk style with a huge ale tank near the front door. They are lots of seating so most likely you will find a seat without a booking. The staff were super friendly and as soon as we walked in around lunch time a nice waitress took us to our table with a menu and told us how the options of pizza they have and also the option in which you can make up your own type of pizza with as many toppings as you like for only £10. I ordered myself a margarita pizza with rosemary & sea salt garlic bread. I also ordered myself a cocktail seeing as I fancied it called a punk mojito. Who else loves how refreshing mojitos are? The menu isnt huge but the thhey have lots of pizza toppings to choose from incluidng halal and vegan options. I think it would of been nice if they offerered fries or something like that on the menu as I found it a little lacking for sides. The drinks came in under 5 minutes which was super impressive and the pizza took about 10 minutes to come which is amazing seeing as its handmade and cooked in a clay oven in front of you. The garlic bread came in a basket with tissue and the pizza came on a big plate with a metal pizza cutter which was brilliant and I need one for my pizzas at home it was that good! 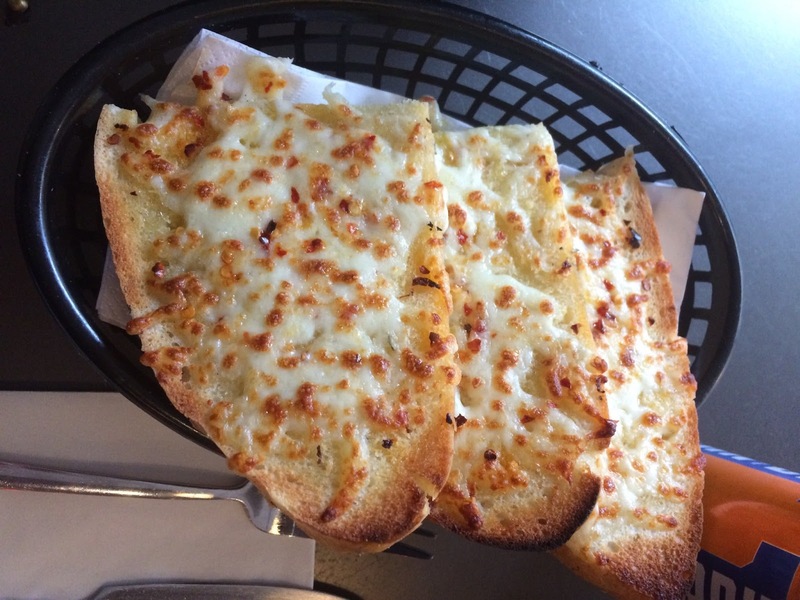 The garlic bread was just delicious and I savoured every mouthful as it had a decent serving of cheese on it and had plenty of garlic to give it that delicious extra flavour 'yum'. 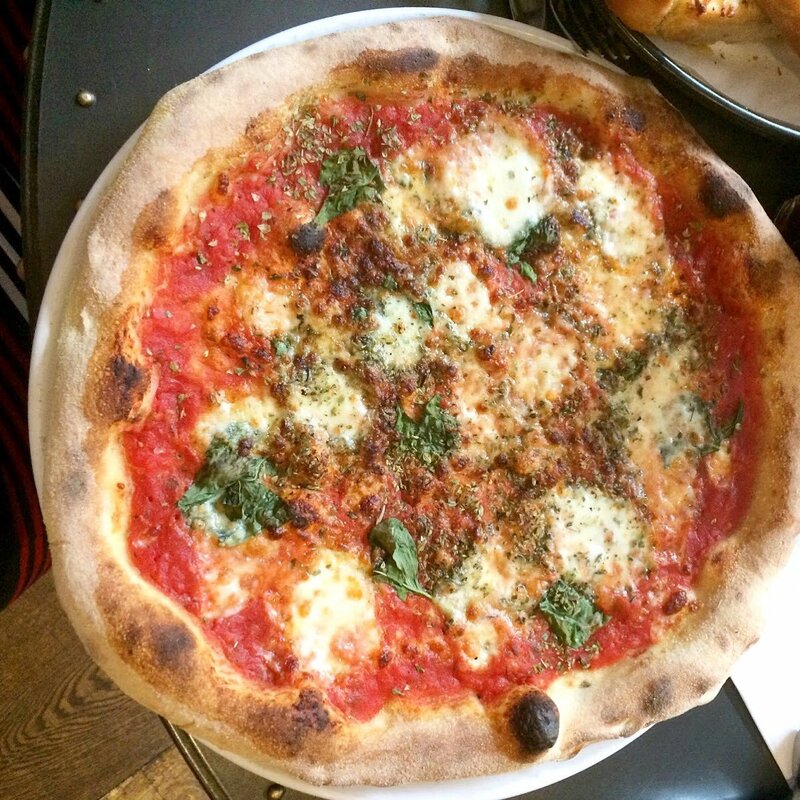 The pizza was OK but I cant say I was bowled over by it because the flavour was ok but it was lacking for me and I had to dip it in lots of sauce as I think it could have done with more sauce and maybe a bit more cheese. The bill was just under £30 for both of us which is decent for a meal for 2. I might be back here in the future as the Freakshakes look amazing.